One way you can make and receive calls with ContactNow is through a softphone. A softphone connection sends audio over the internet and once a softphone application is installed and configured with the correct SIP information, agents can open connection anywhere they have internet access. 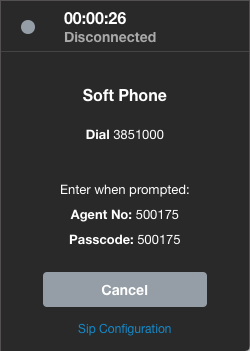 The agent must have a soft phone application installed before they can login via this method. 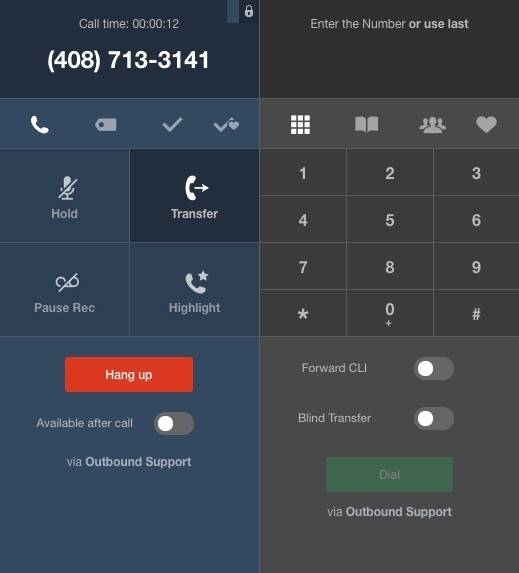 Before you make and receive voice calls, you need to connect to the dialer. 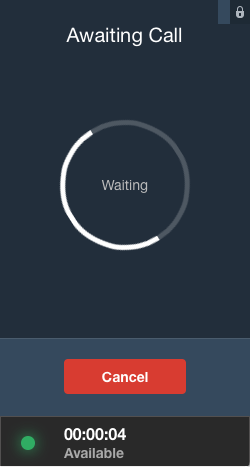 When you log in to the Agent the Status controller will show the connection modes available. Select the appropriate one and click Connect to continue. To begin, click on Softphone > Connect. 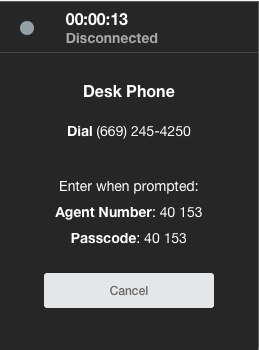 Then dial the given number and enter the agent number and passcode when prompted. Once complete, your softphone will be connected and ready to make calls. To begin, click on Desk Phone > Connect. Then dial the given number and enter the agent number and passcode when prompted. Once complete, your desk phone will be connected and ready to make calls. 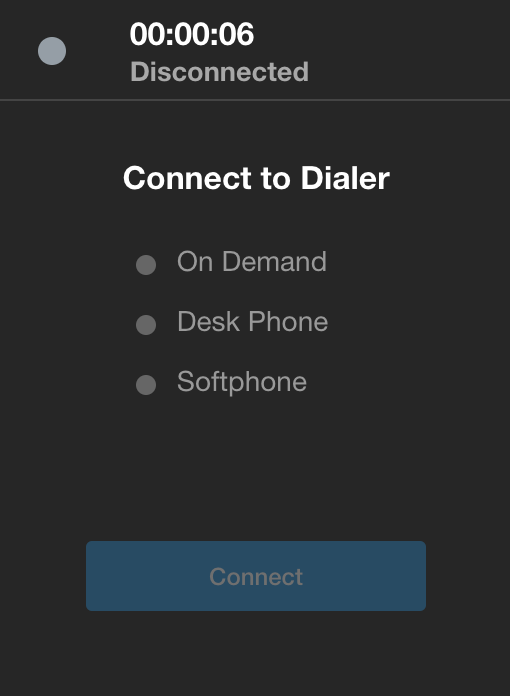 Agent on Demand allows you to log in from any external number or internal PBX. Once logged in, the system will call that phone when an inbound call is received or an outbound call is placed via the agent interface. An agent can make a manual call to contact a number or a queue from their Phone Book. 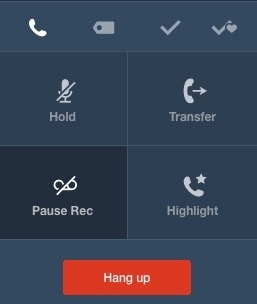 Enter a number using the dialer on the phone, selecting a contact from the address book or choosing a queue. Incoming calls will be automatically answered if you are on Available status. If your status is on Idle, and all other available agents are busy, and if you have alerts switched on in the system, a notification will be displayed asking if you would like to accept or ignore the call. Clicking the Transfer button on the Phone while on-call will enable agents to transfer the call to a third party, leaving the agent to disposition their part of the call. Agent status can be selected from the available list of options. Status must be changed in order to receive calls, make calls, or even to notify time away from desk. Click the Status controller to display the different statuses that are available to chose from, these will be set by your administrator.